Forget gel manicures, acrylics, and French tips, because nothing and looks better than bare, healthy nails. Our nails aren’t always the healthiest under all those layers of polish and coating. Once they’re removed, our nails breathe a quick sigh of relief before being buried under a new colour. Time to take a break from the nail salon and give your nails the TLC it deserves. 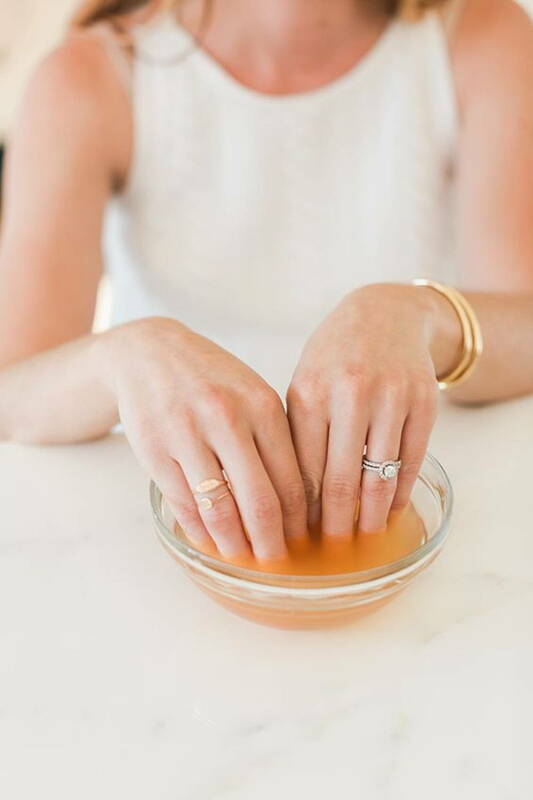 These natural soaks are the healthiest ways to help your nails regain their strength while enhancing their appearance. We’ve rounded up four soaks that will take only 15 minutes of your day, but guarantee fab natural nails! If you frequent the nail salon, you’ll know that certain hues of nail polish often leave a yellow tint when they’re taken off. To cover up yellowed nails, we hide it beneath more coats of polish – wrong move. Give your nails some time to breathe and treat them with natural soaks that will help your nails regain their white hue. 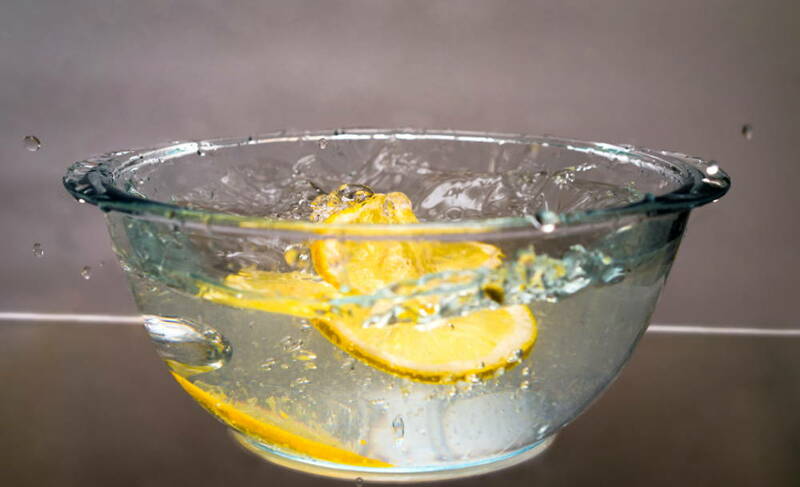 Soak: Mix 2/3 of a cup of lemon juice with 1/3 cup of water. Then add a teaspoon of salt to the solution. Soak your nails in the solution for at least 10 minutes before rinsing to achieve whiter nails. Brittle nails are very common among women whose hands are exposed to washing detergents and solutions. We understand the frustration that comes with nails that chip so often that we do away with manicures. Don’t worry, essential oils are a known solution to strengthening nails. Soak: Combine equal parts olive oil and argan oil in a bowl. Soak each hand in the mixture for at least 10 minutes before massaging the oil into your nail beds and cuticles. Repeat this process once every two weeks for stronger nails. Just like our hair, we’re always torn between keeping our nails short or long. But as always once we’ve trimmed them, we can’t quite wait for them to grow longer. Nails are made of the same protein as our hair, keratin.They need encouragement in order to grow faster and healthier. Orange juice is known to boost nail growth as Vitamin C encourages collagen production and contains folic acid which is crucial for growth. Soak: Squeeze the juice from two oranges and soak your nails in the juice for 10 minutes or more. Rinse your nails with warm water before applying moisturiser to your cuticles. Do thisevery other day for better results. Our nails need some TLC from time to time. They undergo more stress than we know, more so when we keep picking and prodding them. Moisturised nails are healthy nails so it’s important to give them moisturising treatments. 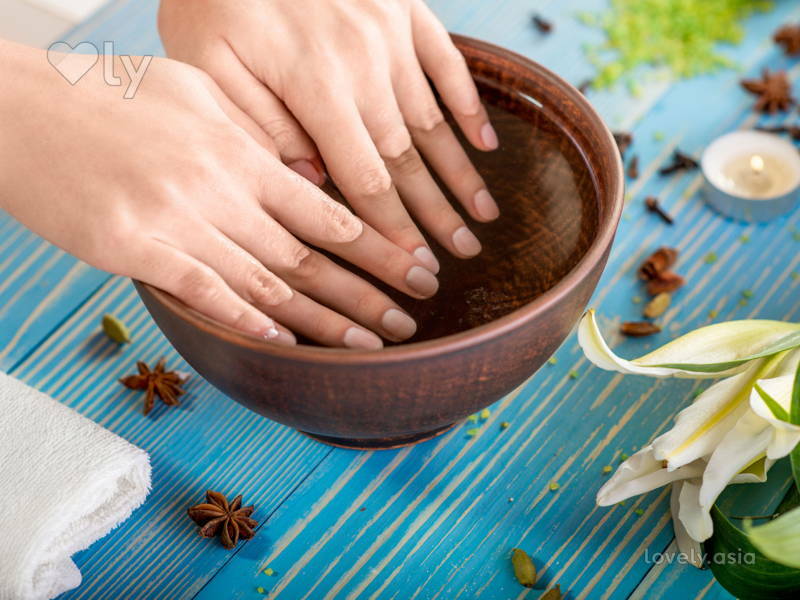 Soak: Mix two to three teaspoons of jojoba oil and four drops of lavender oil in a bowl before soaking your nails in the mixture for 15 minutes. Take the time to massage the oils into your nails while they’re soaking. Once you’re done, wipe the excess away with a damp cloth.